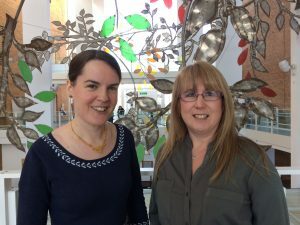 The Norfolk and Norwich University Hospital (NNUH) has joined an international research study, which could result in the earlier detection of lung cancers. Patients who have been referred to the hospital with suspected lung cancer have been taking part in the LuCID trial to give a sample of their breath, which will help to develop a potential screening programme. Researchers at NNUH have joined the study that is being led by Royal Papworth Hospital and has been developed by Owlstone Medical, which has created a biopsy breathalyser. Eleanor Mishra, Consultant in Respiratory Medicine, said two to four patients a week at NNUH have been volunteering to take part in the study. “A lot of lung cancers are diagnosed late and LuCID is looking at early detection. Patients with suspected lung cancer have the option of taking part in the trial, which measures volatile organic compounds (VOCs) in exhaled breath. Dr Mishra added that the breathalyser could add an extra tool to help doctors to diagnose lung cancer quicker and could be used to screen patients in GP surgeries.